The title of the Guggenheim New York's 2016 major exhibition – “Moholy-Nagy: Future Present” – says it all. 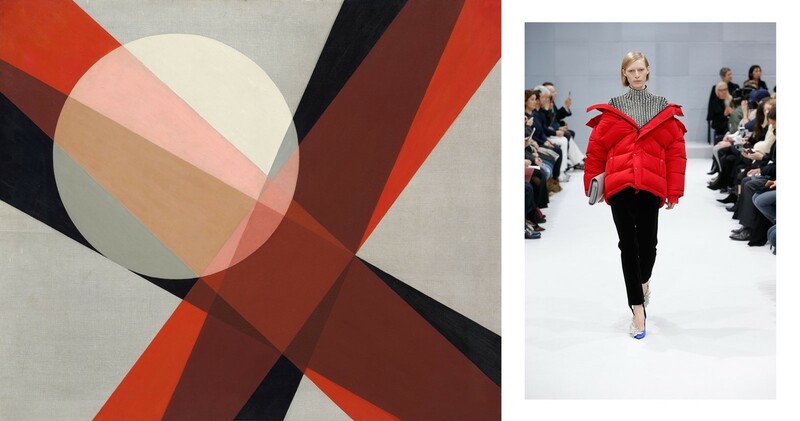 The influence of this Bauhaus teacher and artist goes far beyond the historical, often inspiring contemporary fashion’s vision of the now and next. A master in composition, Moholy-Nagy’s work has affected how we style and dress ourselves and spaces and, in the biggest retrospective of his work in thirty years, the curator Karole Vail has also placed a rare focus on his experimental work with light, industrial materials and movement. In today’s hybridised world of multifunctional garments, interdisciplinary artists, and one-stop pieces of tech, a big part of why Vail feels “Moholy is relevant today” is because he worked “fluidly across mediums” – and here we explore how his work has impacted everyone from Craig McDean to Comme des Garçons. Whether it’s a human hand pressed against glass or an informal black and white portrait of a smiling face, László Moholy-Nagy changed how photography depicted the human form. Abstract, confronting or intimate, his alternative viewpoints saw models placed in unexpected locations, or body parts photographed as a single graphic. Karole Vail explains that Moholy-Nagy “believed you could use radical and unexpected angles to foster new perceptions of the world.” All part of his “new vision”, the compositions within both his photographs and photomontages have gone on to inspire fashion photographers like Craig McDean, Guy Bourdin, Juergen Teller and Steven Meisel. 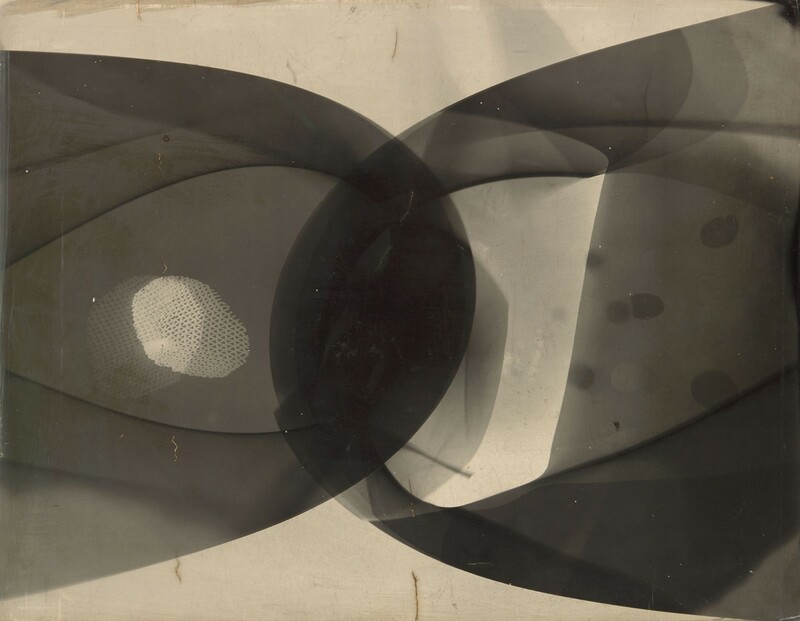 The influence of Moholy-Nagy’s multiple-exposure style within portraiture, also shown at the Guggenheim retrospective, is seen in the work of Erwin Blumenfeld, Sarah Moon and Paolo Roversi. As well as new perspectives, Moholy-Nagy also reconfigured spaces and objects using shadow. 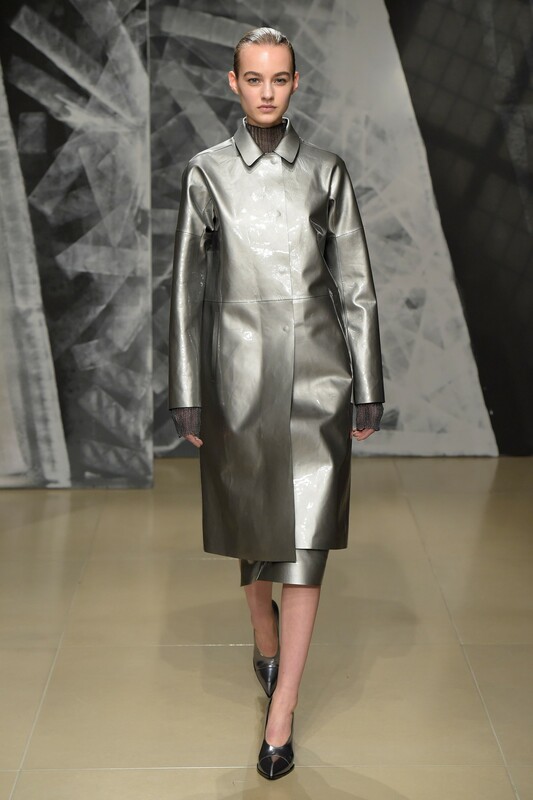 For A/W16, “Moholyian” shadows were cast full pitch across the runways of Acne and Jil Sander thanks to strategic locations, lighting, and set design. However, these shadows also spoke of something far more powerful. Evoking the idea of nearby industrial landscapes looming large, they communicated a revolutionary mindset. Moholy-Nagy’s new vision rejected the historic and the traditional in favour of the machine age. Inspired by the Constructivism art movement, and works like the Eiffel Tower, criss-cross shadows within his photography, cast by wrought iron lattice towers, spoke of an innovative future full of possibility. 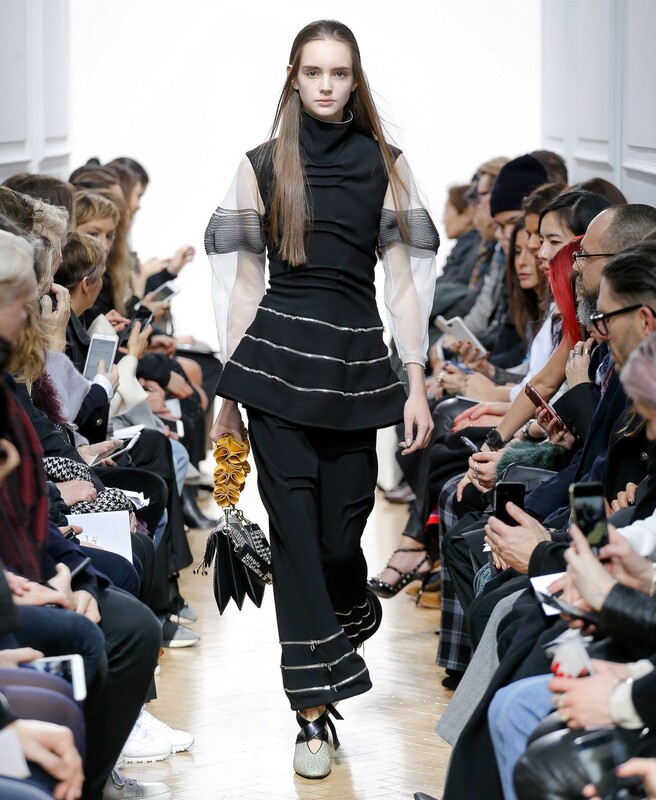 Fashion designers today hope to communicate the same – on a seasonal basis – incorporating these shadows within the set design of their shows, thus emphasizing the progressive nature of their creations. 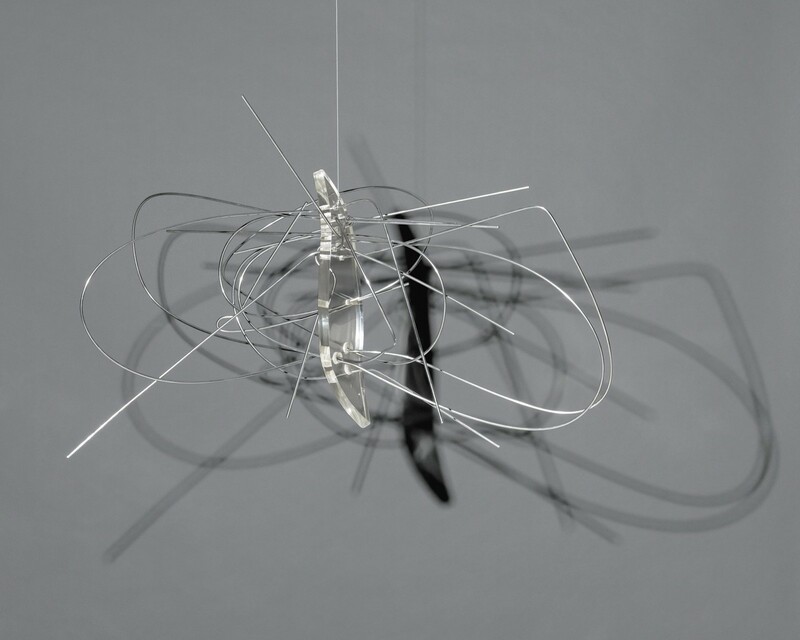 The retrospective also features Moholy-Nagy's groundbreaking sculptures. Speaking of “his experience of being on the front in World War I”, Vail explains this really fuelled his determination for a “new vision.” In outrage against the world and war, the Dadaists had already set out to destroy art – however, Moholy-Nagy's work wasn’t just a rejection, it was about creating a new dynamic hope and wonder. Rebelling against any artistic category, consider this sculpture (above) the original in punk metal. With a light shone upon it, its jagged and experimental silhouette casts scribbly shadows on the wall, which Moholy-Nagy also considered an important part of the artwork. Now contemplate Rei Kawakubo’s debut collection for Comme des Garçons in 1981, which was as much about the beauty of the shadows and light within the destroyed pieces as it was about the confusing trauma of the pieces themselves. More classically modernist pieces such as Nickle Sculpture with Spiral (1921) are also on display at the exhibition. Vail explains that Moholy-Nagy “believed that art, technology, and life could work hand in hand together for the improvement of humanity.” Resembling an art contraption which looks like it belongs on a space rocket, or in a dream factory, this utopian piece was a precursor to the futuristically optimistic designs of Paco Rabanne, André Courrèges, and Thierry Mugler, and its enduring influence is also felt in the A/W16 collections of J.W. Anderson, Jil Sander and Hussein Chalayan. Long before Instagram, there was Photogram. This ingenious experiment by Moholy-Nagy saw him take photographs – but without the use of a camera. Its translucent quality resembled scientific X-Ray prints or encounters under the microscope and its sepia-toned laboratory aesthetic calls to mind the shadowy greyscale prints of Chanel Resort 2017, Prada’s ongoing love for dark transparent fabrics, and Marni’s curvaceously flat silhouettes for A/W 2016, layered with diaphanous paillettes. At J.W. Anderson, expensive shades of black, cream or charcoal grey were dynamically scissored, whilst sporty transparencies lent a scientific quality. 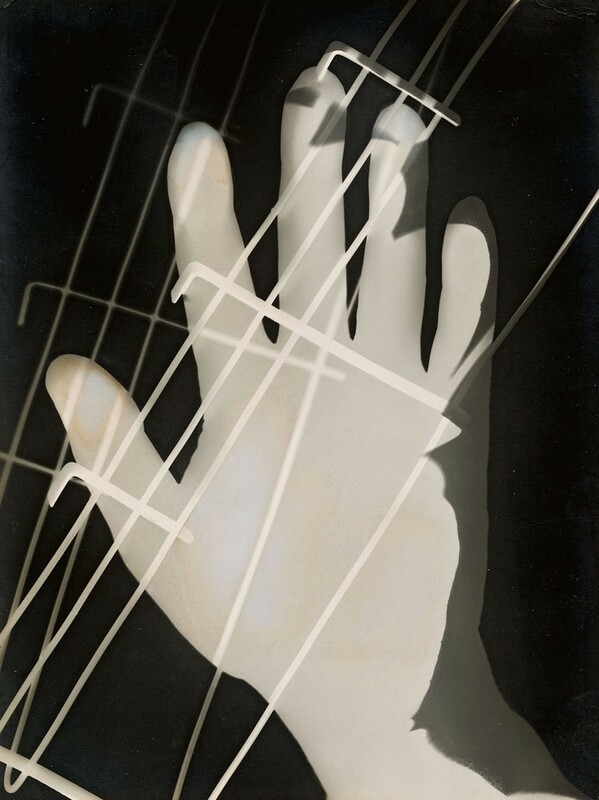 Moholy-Nagy’s photograms were at once 3D yet also 2D. Only fashion’s greatest architect – Cristobal Balenciaga – achieved such a feat. Moholy-Nagy: Future Present runs at the Guggenheim, New York until September 7, 2016.